Don't you love Spring? It brings the promise of warmer weather, flowers, and a few months where our winter clothes can be put away and not thought about! This month, our hop theme is Spring is in the Air and we are bringing you layouts, cards and general paper crafts featuring Spring. If you arrived here from Kirsten's blog, you are on the right path, but if you get lost along the way, just head back to Michelle's blog where you will find the complete list of hoppers. As you hop through, please leave your comments as we love to hear what you think of our projects. If you see something you would like more information about, whether it is a particular product used or a technique, leave a comment and we will get back to you. Now, here is my project. I already had about a dozen cards in my stash that have a spring feel to them so picked my favourites to use here. Easter on the first card was cut with the Artistry cartridge with Thistle cardstock. I reduced the distance between the letters in Design Space until they were overlapping. The front of the green Easter card was cut using the Artfully Sent cartridge. I LOVE that cartridge! It makes creating cards so easy! Don't you just love the new Close to my Heart Thin Cuts!? The flower on the cards above and below where cut using the Springtime Wishes Thin Cuts and my Cuttlebug, and then stamped with the matching stamp set. Love it! Thanks for hopping with us this month! Come and join us next month when we will be recognizing mom's! Since I am the last person in this hop, you can go to Michelle's blog to start all over or continue if you started in the middle of the hop. If you have seen anything here that you would like more information about, please leave a comment. I will get back to you as soon as I can! Baby, You Are Worth It! When I signed up as a Consultant with Close to my Heart in 2011, I really didn't know what to expect. Would it work for me? Where would I find customers? Did I have enough time to devote to it? Well, it does work for me, and I do have enough time to devote to it. I am still working on adding to my customer base, but the few customers I do have make it worthwhile! I can set my own hours and work as much (or little) as I want and I like that. 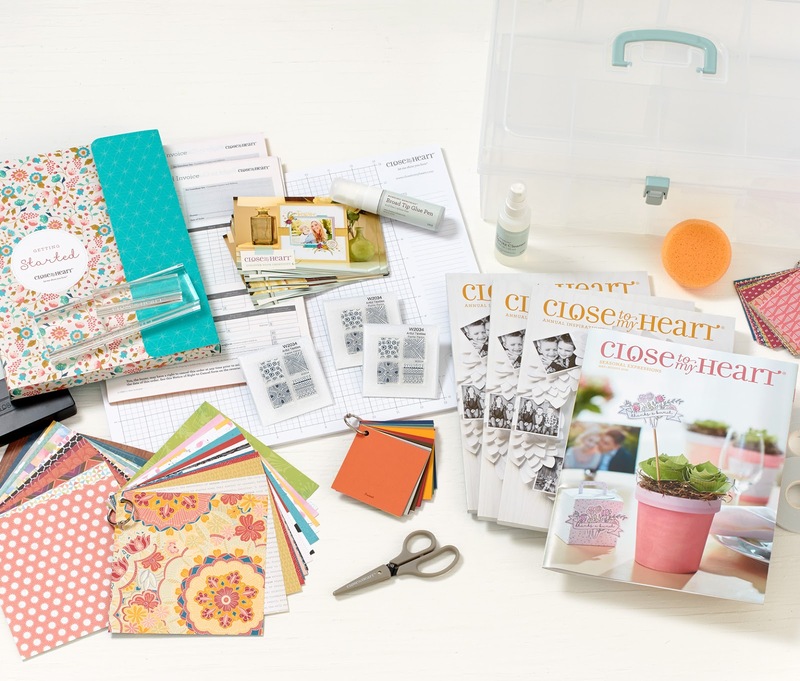 Close to my Heart is an awesome company! Our founder, Jeanette Lynton, is the sweetest, kindest, most inspirational lady you could ever hope to know! Her Executive Team is just as awesome, and make every Close to my Heart event, from local one day workshops up to our fantastic three day convention, fun, interesting, and educational. All of those great supplies for only $95! It also includes $60 in Select Product Credit so you can buy more! And there is more! 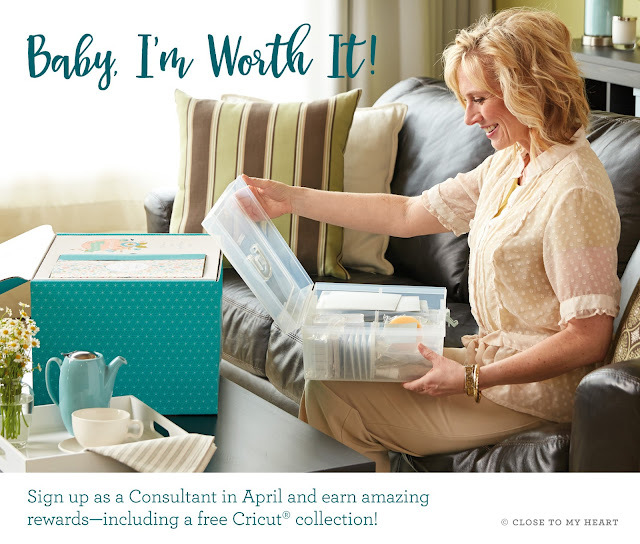 If you can submit $400 in personal sales in your first 30 days* as a consultant, you will also earn either a FREE Cricut collection or $118 in Select Product Credit! Have I got you interested? I will gladly help you sign up! Just go to my website and give me a call. I will answer your questions and help you through the sign up process. Hope we can chat soon! *The 30 days starts 10 days after the New Consultant kit has shipped.